Rooted in womens voices in and through literature, music, the visual arts and politics, Womansaints: The Saintly Portrayal of Select African-American and Latina Cultural Heroines is offered to open dialog across cultural boundaries, toward a greater understanding of the commonalities of African-American and Latina womanhood. Womansaints attempts to historicize and draw parallels between stereotypes of African-American and Latina women utilizing the Catholic Latina saint-to-whore stereotype continuum as a model. In this study the womansaint is defined as a woman who derives her power from purity (undiluted strength), perceived commitment to the pueblo (common people), (nearly) silent suffering, and having not born children. The Catholic Latino communities lend themselves naturally to presenting a ready-made role model for and stereotype of Latina women in the Madonna and Child and Virgin Mary iconography, due to the nature of their religion. In contrast, most African-Americans are Protestant, and their religious iconography targets the Crucifixion and the Resurrection of Christ. The author, however, is able to distinguish four overlapping embodiments of the womansaint stereotype: the Angel; the Virgin Mary; the Madonna and Child; and the Martyr. 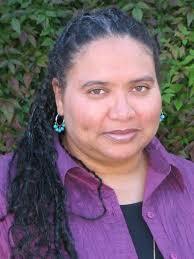 Lisa Pertillar Brevard holds a Doctor of Philosophy degree in African American Music and Literature from Emory University and a Bachelor of Arts degree with Honors in Afro-American Studies from Smith College; as well as a Certificate in Womens Studies. She is the Dean of Humanities and Associate Professor of English and African World Studies at Dillard University. This is her second book.